19/05/14 – Joey Headen talks about the Helecopter game. 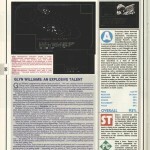 An early days entry for a title which was being written by Glyn Williams, who wrote Cholo and Starglider on the C64. 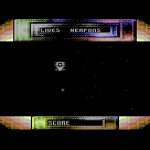 This title was a currently unknown Helecopter game which was to be released by Island Logic (a short-lived software arm of Island Records) back around 1985, using a technique developed by Glyn and Joey Headen called PolyScan (a 3D system for the C64). PolyScan was originally started by a chap called Caspar Bowden and then mostly programmed after that by Glyn and Brian Jones. After finishing work on another project, Joey Headen and Glyn Jones decided to make use of the system and do something practical. It got to a point where the engine could produce 3D rotating objects on the C64, and so a Helecopter themed game was born. The game was believed to be complete, but was never released. Joey suggests in a Sinclair User that Island decided they didn’t want to spend any more money and closed it down. Joey confirmed to us that Glyn and himself estimated how long and how much the game would cost to make, but the board thought that it was too much and cancelled the project. They then let Glyn and Joey go also. Joey does not recall the game ever having a title. Island Software developed Advanced Music System software for Rainbird on the C64, with Joey developing the MIDI section. They had a contract with Rainbird, so it is entirely possible that the helecopter game was meant for Rainbird. We hope to find out more soon, though there seems to be no Helecopter game linked to the company. It is very likely that the PolyScan system helped to produce Cholo and Starglider, which we hope to confirm soon as we track down the developers. We may have found Joey, but Glyn is proving trickier to find! “Polyscan was started by someone called Caspar Bowden [probably the MS guy from a google search] and mostly programmed by Glyn and Brian Jones. After Brian left to go to Phillips and I finished the MIDI section of AMS, I worked with Glyn to turn it into something practical. We estimated how long and how much the fully 3D helicopter game would cost, but the board thought that was too much and cancelled the project and let Glyn and I go. I don’t recall the game having a title. They did however lend us some equipment and we started our own company, and secured a contract to do Cholo, a 3D wireframe game [with no helicoptors]. “Joey is a man of mystery. He uses no surname! Along with his mate, Glyn Williams, he set up Solid Image one year ago. Since then, well, exactly what have they been doing? Both studied computer science, and then Joey then became involved with ex-Buzzcock Pete Shelley, whose album he enhanced with a computer program which added graphics in time with the beat. From there, Joey moved to Bug Byte software for a while, and settled – temporarily at least-with Island Logic, the people behind the much revered Music System. Joey worked on the C64 Midi. Next came the Polyscan Project. Sounding like a top secret government operation – actually, not a million miles away … it involved Joey and Glyn working away for months and months in order to produce three-dimensional rotating objects on 8-bit computers. Joey first began programming as a break from studying Law at university. “Someone said there was money in it, but don’t believe it.” I don’t believe it. Solid Image find that they are only now beginning to make a name in the industry, and as a result their work involves quite a lot of doing the round of companies, seeing if anyone was interested in what they had to offer.